Sift together the flour, sugar and salt in a bowl and set aside. In a separate bowl dissolve one yeast packet in luke warm buttermilk. Separate 4 eggs, keeping the egg whites in a separate bowl. Egg yolks should be beaten and then mixed with the buttermilk and yeast mixture and add the vanilla here too. Add the flour mixture to the egg yolk/buttermilk mixture and stir. Then stir in the melted butter. Now beat the egg whites until they are stiff and "peaked" and then fold them into the batter. Let the batter sit 20 - 45 minutes. 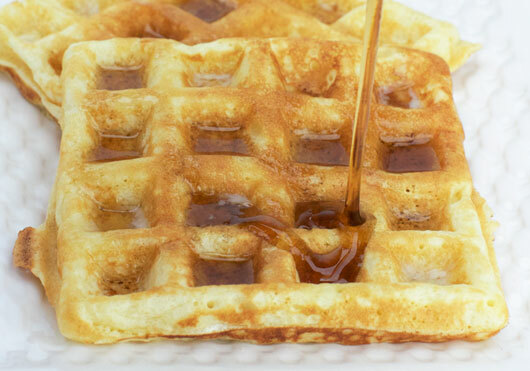 Scoop about a 1 to 1 1/2 cup in the the Belgian waffle iron. Batter is thick so it is easy to spread along the iron. I have a flip top so it's about 2 minutes baking each side. For the waffles you see pictured here, I used a Cuisinart 4-Slice Belgian Waffle Iron. For each set of 4 waffles, I used about 1 and 3/4 cup batter. Once the batter was poured on, I quickly spread it over the dimpled plates with a spatula. This recipe produced enough batter to make 12 waffles. 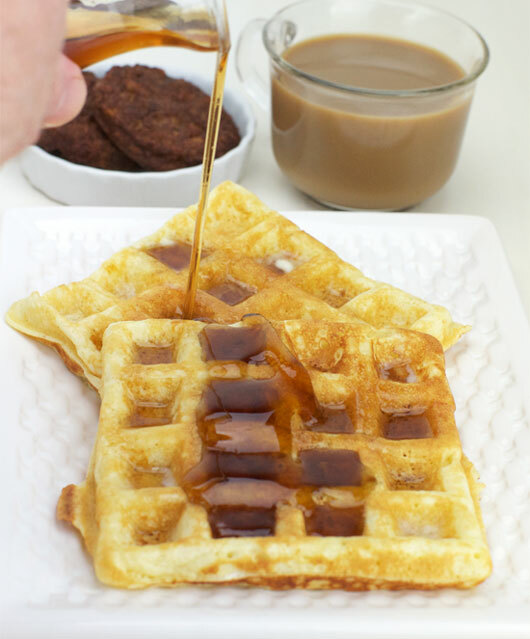 These waffles come extremely high, great texture, and melt in your mouth. Serve topped with whatever you prefer. Mr Breakfast would like to thank RunningFool for this recipe. Recipe number 2652. Submitted 11/3/2009.